The first thing you’ll discover about working with Printforms is that we make a real effort to understand your business, whatever it may be. This relationship is crucial to our ability to respond to your brief and deliver what you need. So much so that we don’t employ account handlers – you deal directly with the people doing the work. Sometimes you’ll have an objective in mind, but you won’t be sure how to get there. That’s where we come into our own, combining technical expertise in print and manufacturing with sheer hard work and an uncanny ability to come up with the best approach for each client. We take care of all the logistics, including physically sticking, stuffing, packing and shipping your job out on time and within budget - whatever it takes. Want us to liaise directly with another agency? No problem. Need a right-hand person for your marketing team? No problem at all. Complete every job from A to B (or "Z") while you get on with other tasks? It’s what we do. Printforms have been providing print and print-related services to clients throughout Yorkshire and the UK for over 20 years. 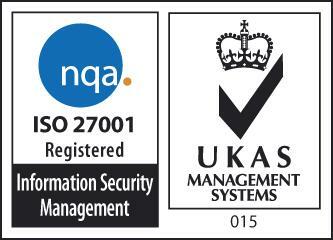 We are committed to providing our clients with the best possible service and recently achieved our ISO27001 certification for Information Systems Management Security (ISMS) giving both new and existing clients peace of mind that we will handle all data securely. If you’d like to discuss a potential fulfilment project do get in touch. After all, we’d like to get to know you and your business more so we can offer the best support to you as your local Wakefield Printers. Please drop us an email to enquiries@printforms.co.uk or give the Printforms' Team a call on 01924 363686, and we’ll get a meeting booked in. We look forward to meeting you soon!